"Very smart and straightforward; not a prima donna, he just gets on with the job." Andrew Henshaw has extensive experience of commercial, European and public law cases. His commercial law experience includes banking/securities, insurance, financial services, energy, misrepresentation claims, company law and commercial contracts. He acted for the successful defendant in Berezovsky v Abramovich, and for the claimant in a multi-billion dollar LCIA arbitration about a Russian commodity company and a parallel $50 million arbitration about economic duress. He has appeared in complex financial disputes (including Cassa di Risparmio v Barclays), jurisdiction disputes (such as UBS v HSH Nordbank) and injunction applications. Andrew has broad experience of commercial arbitrations relating to corporate transactions, shareholders’ agreements, insurance and commercial contracts, and accepts appointments as arbitrator. Andrew’s EU and public law experience includes leading one of the few successful claims for Francovich damages, significant judicial review claims relating to medicines regulation and medical foods (Admin Court and Court of Appeal), the Phillip Morris tobacco packaging case (CJEU), appearing for the UK in its challenge to the short selling regulation, Gallaher and Somerfield v CMA (equal treatment: Admin Court and Court of Appeal), public procurement litigation in Northern Ireland and advice to governmental bodies in England on procurement issues, frequent advice on financial regulation issues, acting for an intervenor in Miller (“Brexit” case, Supreme Court), and the successful defence of challenges by Tottenham Hotspurs and Leyton Orient to decisions about the post-Games Olympic Stadium. Andrew was a member of the Attorney General’s A, B and C Panels, and continues to act for government bodies in Silk. He has also been a member of the Bar of Northern Ireland since 2011, and in 2014 was appointed to the Panel of Senior Counsel for Property/Commercial, Procurement and Administrative Law. In 2017, he was appointed a part-time Deputy High Court Judge. Previously as a partner of Linklaters, he specialised in commercial litigation and qualified as a Solicitor-Advocate. The cases he handled as a solicitor including multi-national litigation arising from the collapse of the Maxwell empire, claims arising from corporate transactions and complex derivatives disputes. Andrew’s recent publications include co-authorship of the report recently submitted on behalf of COMBAR to the Ministry of Justice in January 2017 on Brexit and financial services; and an article on “Reciprocity after Brexit” to be published in the Journal of International Banking and Financial Law in February 2017. Recent speaking appearances include the C5 Arbitration Conference (January 2017), Brick Court Chambers seminar on Brexit and Financial Services (November 2016) and Brick Court Chambers seminar on Brexit and Jurisdiction and Judgments (October 2015). arbitrations relating to political risk reinsurance, trademark licensing, rights of set-off and shareholders' agreements. Andrew has experience of arbitrations and expert determinations relating to a broad range of commercial matters including corporate transactions, shareholders’ agreements, insurance and commercial contracts. He also accepts appointments as arbitrator and as expert, and is a member of the LCIA and ICCA. Andrew’s EU experience includes recently leading one of the few successful claims for Francovich damages, significant judicial review claims relating to EU regulation of medicines and medical foods (Admin Court and Court of Appeal), the Phillip Morris tobacco packaging case (CJEU), appearing for the UK in its challenge to the short selling regulation (CJEU), public procurement litigation in Northern Ireland and advice to governmental bodies in England on procurement issues, frequent advice on EU-related financial regulation issues, and acting for an intervenor in Miller (“Brexit” case, Supreme Court). . He has acted on cases about financial regulation, free movement of goods, medicines regulation, State Aid and competition law. He has appeared for private clients, governmental bodies and regulators, including representing the UK in references to the CJEU in cases about market abuse, free movement of goods, jurisdiction/enforcement of judgments, electricity regulation, pharmaceuticals regulation and insolvency law. Advice to Transport for London on an issue concerning procurement remedies. Member of Combar, Bar European Group and Administrative Law Bar Association. 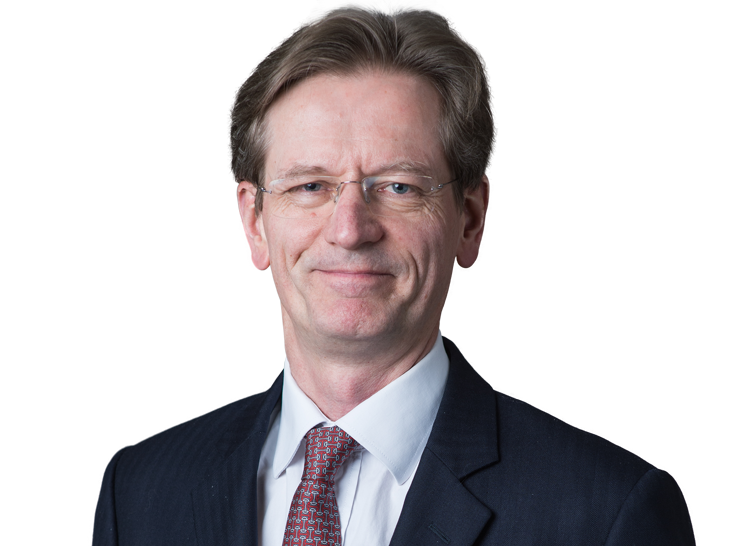 Andrew is a contributor to Oxford University Press’s “Competition Litigation”, written by members of Brick Court Chambers, and drafted the Bar Council’s response to the EU Commission’s Green Paper on consumer collective redress. He is the author of chapters on derivatives litigation and financial self-regulation in "Derivatives Instruments Law" (ed. Swan, 1995), and articles on preference law in international insolvency (1997), choice of forum under the Brussels Convention (1997) and managing internal investigations (1999). More recent publications include co-authorship of the report recently submitted on behalf of COMBAR to the Ministry of Justice in January 2017 on Brexit and financial services; and an article on “Reciprocity after Brexit” published in the Journal of International Banking and Financial Law in February 2017. Recent speaking appearances include the C5 Arbitration Conference (January 2017), Brick Court Chambers seminar on Brexit and Financial Services (November 2016) and Brick Court Chambers seminar on Brexit and Jurisdiction and Judgments (October 2015). Supreme Court – the end of ‘conspicuous unfairness’?